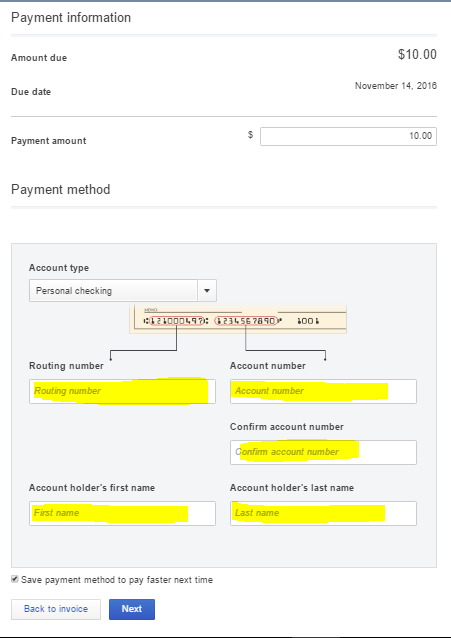 In QuickBooks payments, “Bank Transfer” option is like ACH direct deposit type. 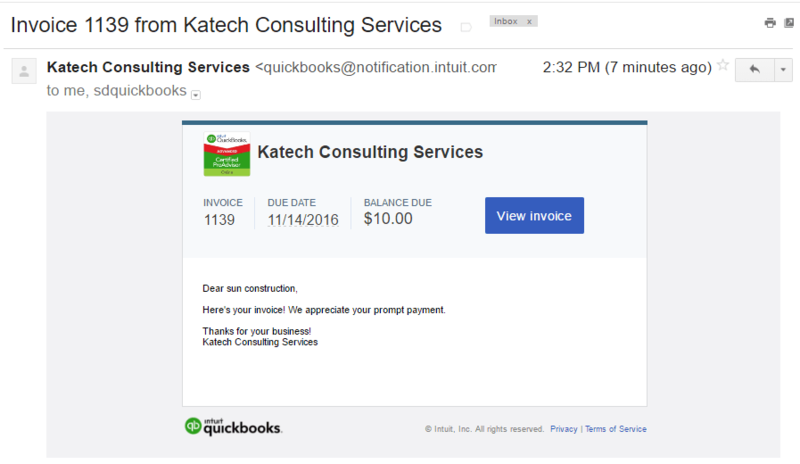 Customer/Client will receive the invoice by email. It’s very few simple clicks for a customer to pay that invoice. Open the Invoice button. See screenshot below. Click Pay Now button. See screenshot below. d) Optional: leave the default check box to save payment method to pay faster next time. Merchant Fee: It’s a flat $0.50 (YES, FIFTY CENTS) per bank transfer payment. No dollar limit on how much that transaction is. On credit card payment, they charge +-3.% on the transaction amount. So, on $1,000 invoice, you can actually save $30.00 merchant fee. That’s huge!